Maybe it was the wine. Or perhaps it was the latticed balconies? The unfettered hospitality played a part. And the idyllic scenery was persuasive. 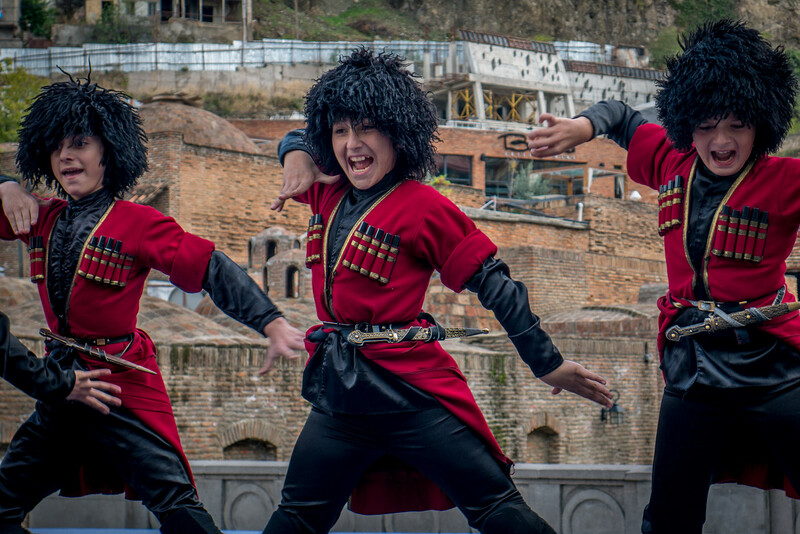 For the life of me, I can’t pin down precisely what made Tbilisi, Georgia so charming. Since I left the country in late October, I took on the mantle of fangirl for the Republic of Georgia after uncovering a bevy of memorable things to do, experiences to embrace, and sceneries to spark wonder. I gush about it to any willing ear. I returned home late last year to holiday dinners and nights spent playing cards with friends. Between these engagements, I edited photos from my fall travels. Each night, with a swipe of the keyboard, a new image flashed on the screen. Like a slide projector warming up, memories flickered into my consciousness. Each cropped and straightened photo rekindled my crush on this beautiful little city in the far east of Europe. Most international governments recognize that Georgia includes the two areas in blue and purple, South Ossetia and Abkhazia. These are Russian occupied areas of the country and travelers should research current political issues if traveling around those areas. Like any good crushee, I immediately wanted to know my crush’s backstory and history. Before I left for Georgia and Turkey, I showed my dad my route. His eyebrows shot to the sky and he released a single, skeptical “hmm.” Now into my eighth year of travel, my parents have long accepted my decision. They don’t always love the places I visit solo, but they trust my judgement. From his face, however, I could tell my dad was wavering. In the absence of context, it’s hard to imagine what Georgia’s like, what sort of things could possibly entertain a traveler. 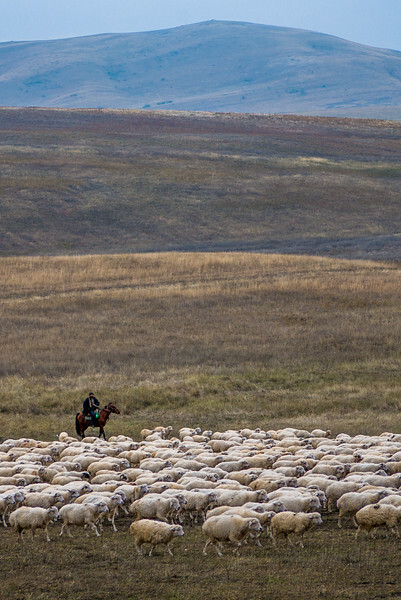 On the edge of the Caucasus Mountains, the country is neighbored by cultures as varied as its topography. Once a stop on the Silk Road, the city became a confluence of the civilizations over the millennia. This peculiar positioning means Georgia is considered a part of Europe or Asia, depending on who you ask. And you would be forgiven for wondering if it’s a part of the Middle East. But the actual vibe: It’s European. Today’s Georgia is Eastern Orthodox—to the tune of 84%. 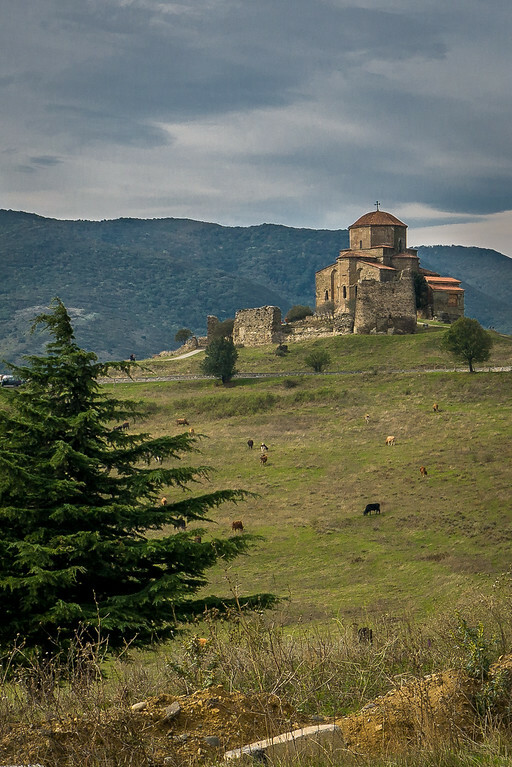 Monasteries and churches stand proud on mountain peaks around the country. This religious history is important to modern Georgia. 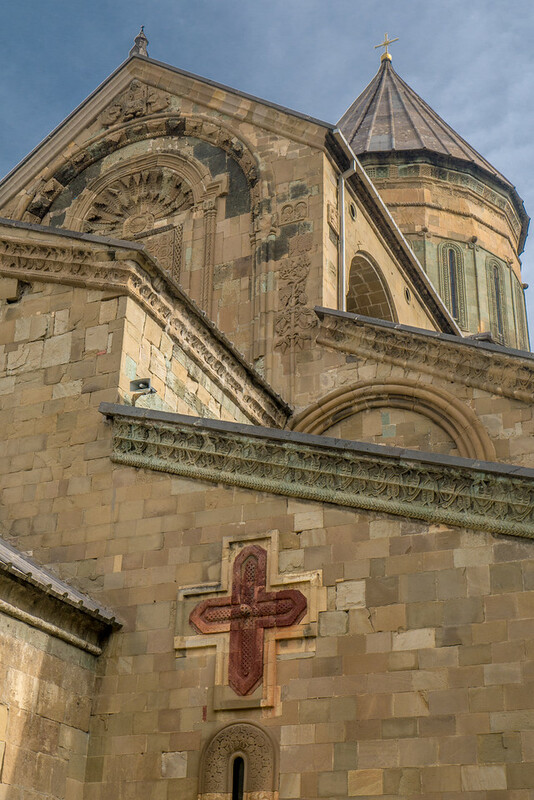 That said, despite the overwhelming presence of Christianity, other cultures and religions also found perch in Georgia over the centuries. 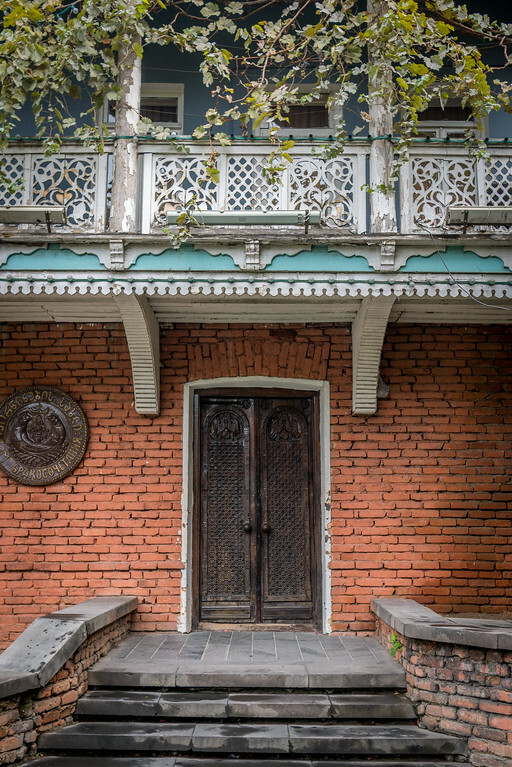 My wanders through Tbilisi uncovered mosques, synagogues, and even a Zoroastrian temple. And while a country’s ancient history plays a part in any trip, so too does recent history. Georgia was a part of the former Soviet Union. The country also dealt with political and social unrest throughout the 90s and early aughts. I’ll confess to forgetting the bulk of my World History course in 9th grade. Before I landed, I took to the internets and online readings to flesh out my understanding. I read up on not only the Soviet Union, but the also country’s complex present-day relationship with Russia. Important to understand is the history of the two Russian occupied areas of Georgia that are depicted on the map—South Ossetia and Abkhazia. For countries with recently attained peace, understanding a foundational history is paramount. It shapes the experience with compassion and empathy. It invites the visitor deeper into the psyche of the culture and people. Only by understanding the past could I so enjoy what makes traveling the Republic of Georgia unique. 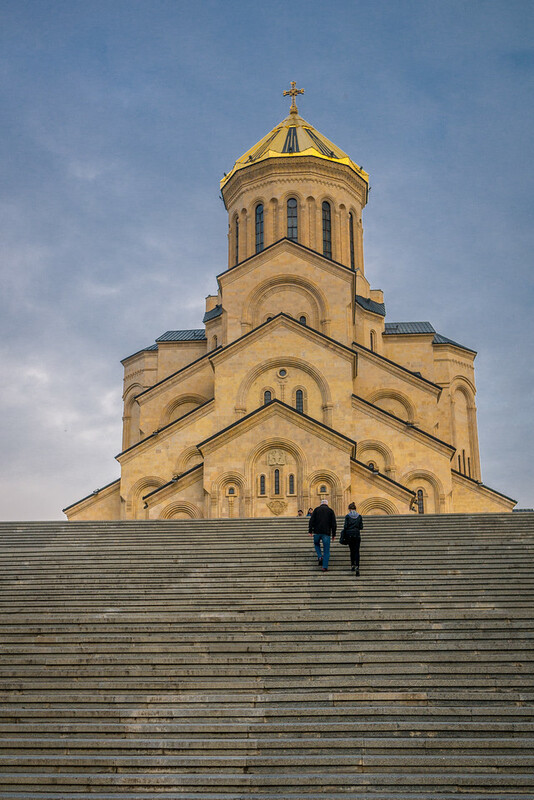 It’s the resilience of the Georgian that spirit shapes my favorite aspects of traveling there, that shaped the best things to do and see. My memories float to the surface, begging to be shared. Like the delicate smile of a new courtship, the city flirts with visitors. Tbilisi won me over with subtle charms and gentle nudges. Let’s look at the aspects of Tbilisi, Georgia that stand out most prominently in my memories. 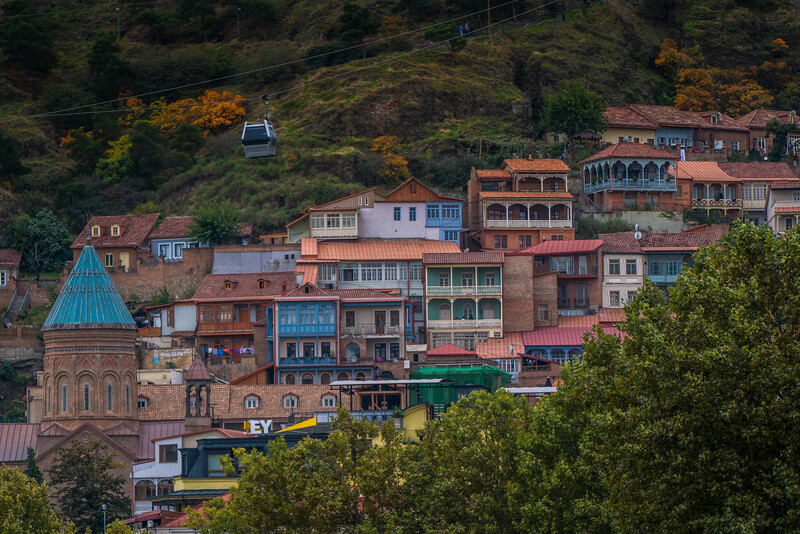 The patchwork architecture in Old Tbilisi is reason enough to visit this pretty capital city. Intricate balconies sigh from tired buildings. Cobbled streets ramble through historic neighborhoods. Sweet, shady trees along Rustaveli Avenue belong as much in Paris as in this tiny Eastern European city. 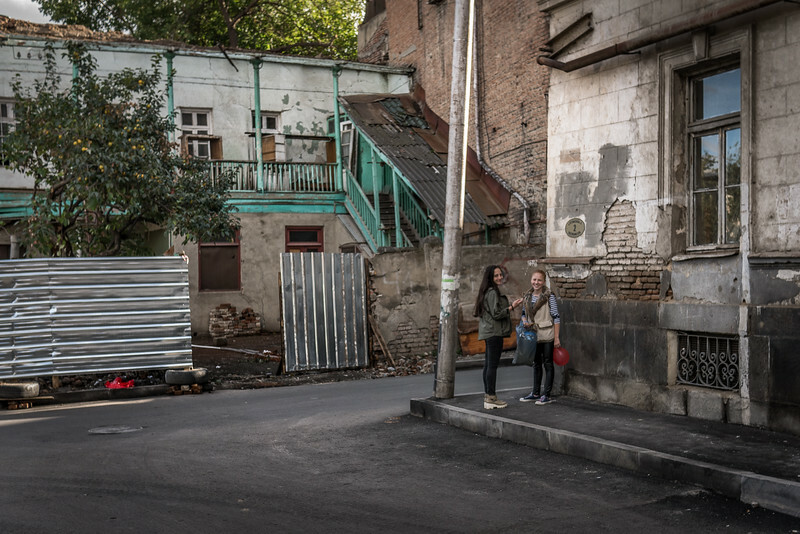 Each day I leapt from bed, energized by the idea of wandering adrift on the streets of Tbilisi, camera in hand. Quiet courtyards and ephemeral smiles form the bedrock of my memories. 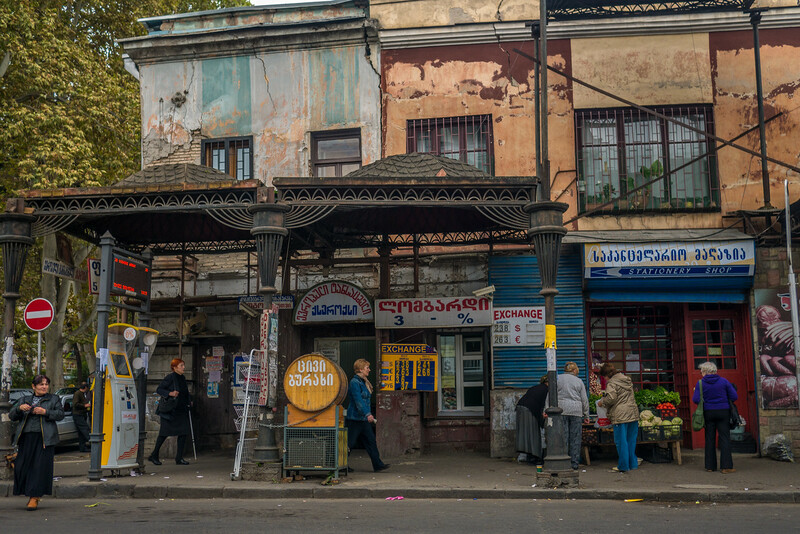 Centuries of Persian, German, and Russian architectural influence is visible. But it’s not just the historic aspects that fascinates. 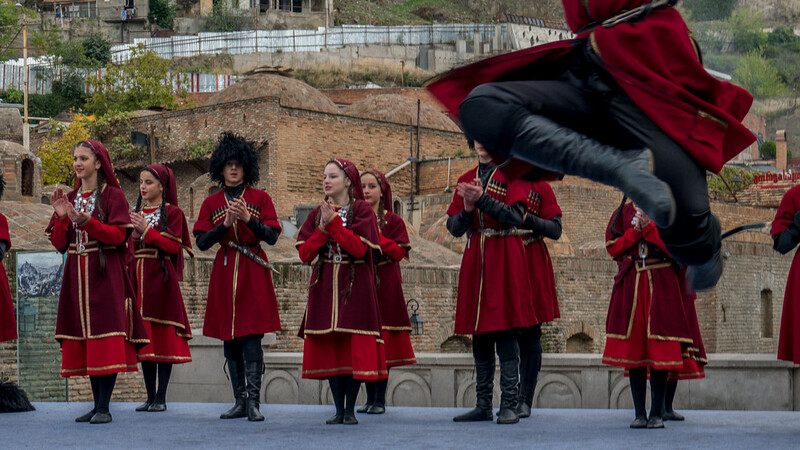 Tbilisi’s more recent stability has it screaming into a disorienting modernity. Controversial space-age architecture takes up residence alongside the historic buildings. 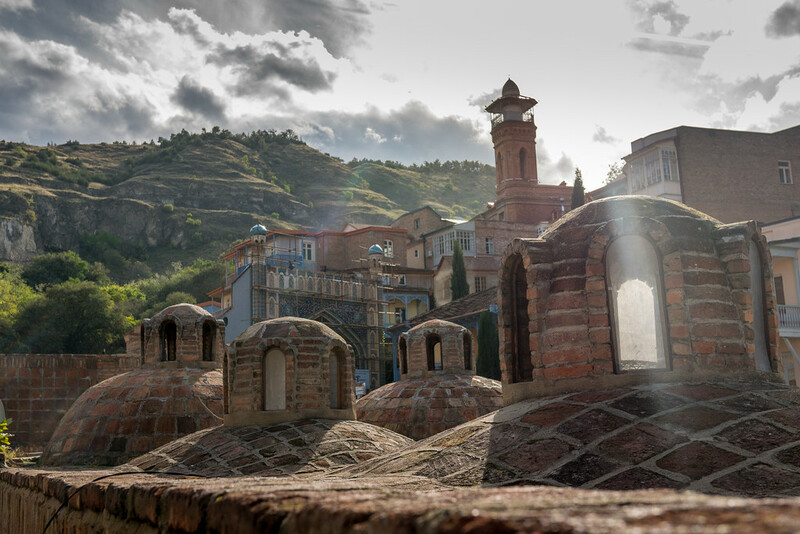 A gamut of architectural possibilities sit in the shadow of the 4th century Narikala Fortress. Time passes, that’s what the fortress seems to say. 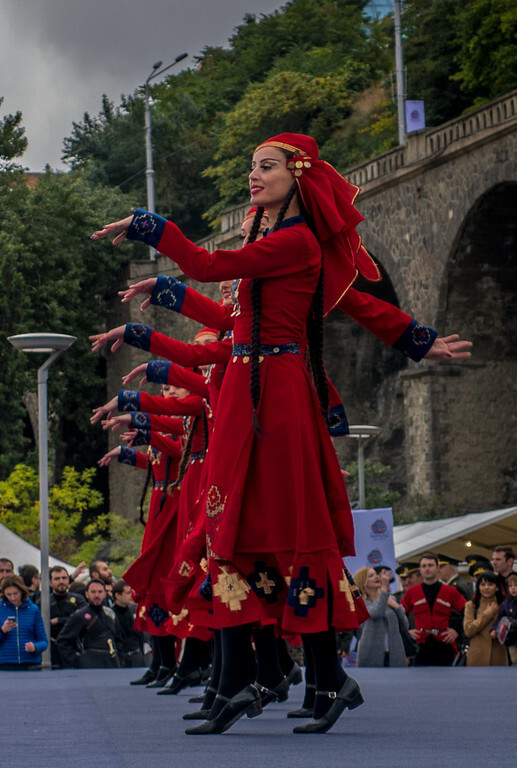 Tbilisi has a complicated history that has continued into the present. The aesthetic of the city bears testament. And yet, the gorgeous laced balconies point to a concerning lack of infrastructure. It’s a similar problem facing places like Havana, Cuba. Decades of little money spent on redevelopment left gorgeous historic buildings in disrepair. There’s conflict in recognizing it needs to change while still loving the beauty it creates. But perhaps there’s a middle ground. Something between shimmering glass bridges and the city’s enchanting old-world charm. Either way, the city has an eclectic mix of styles that keeps things interesting. Real talk: The food culture is wonderful. There’s a reason I started with an overview of Georgian history. 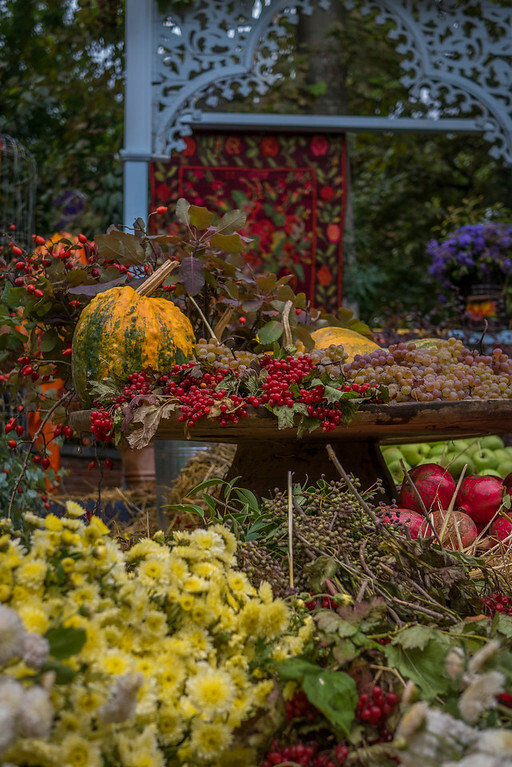 History plays a pivotal role in Georgia’s current designation as an upcoming food destination. 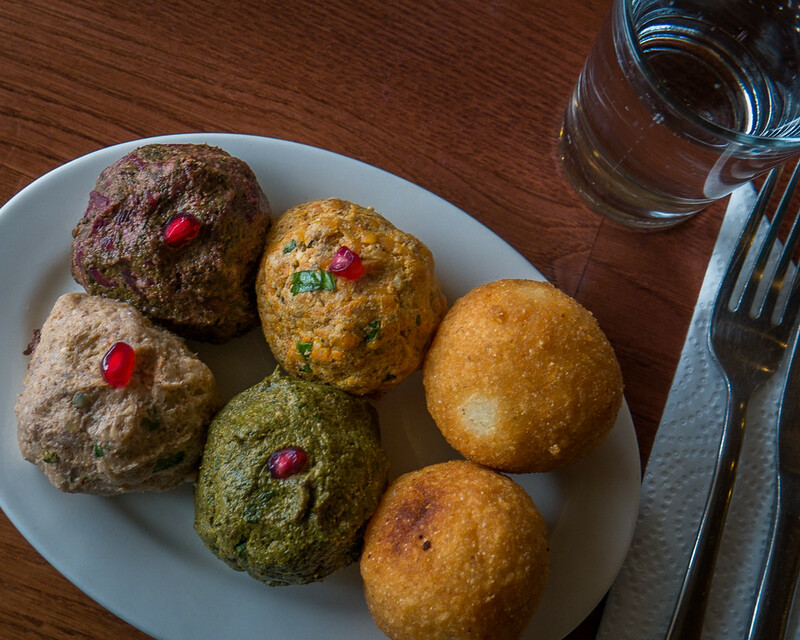 Cultures brushing against each other over the centuries resulted in a range of delicious dishes. 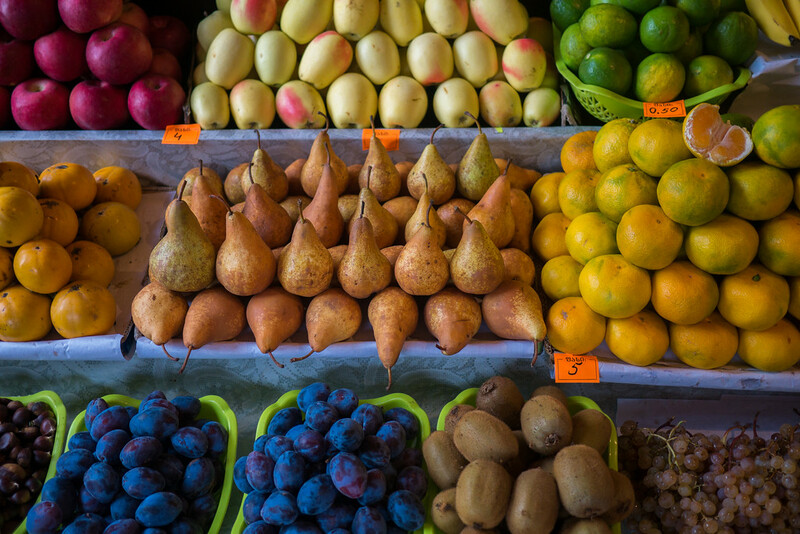 In addition to meat in large supply, the country offers Mediterranean fares like salads, bean soups, cheese, and Georgian pizza. Let’s just say that as a vegetarian, I didn’t starve. Then there’s the wine. It’s divine. Georgia’s clay vessel wine-making process, Qvevri, made UNESCO’s list for the Intangible Cultural Heritage of Humanity. During my stay in Tbilisi, I took part in the city’s beautiful café culture, which is reminiscent of so much of Europe. Sprinkled throughout the boutiques and sidewalk cafés are dozens of wine shops and tasting rooms. Wine is the icebreaker with new Georgian friends. Each time I befriended a local, they shared their favorite variety. Even more often, they boasted of their tasty homemade wines. The country has hundreds of indigenous varieties of grapes. 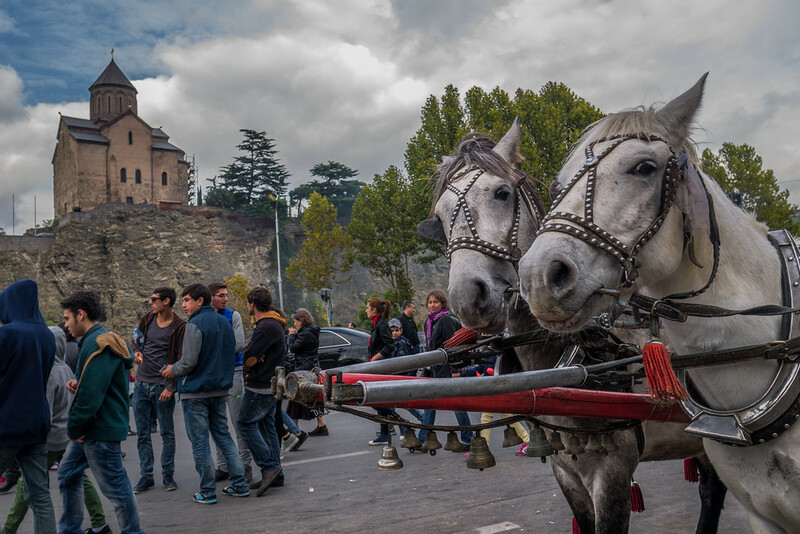 Locals maintained their winemaking traditions throughout disparate governments and in the face of deep economic hardships. Georgians love nothing more than to spend a night (or many) sipping wine with friends. Evening shadows grow deep as friends toast to all manner of health, life, happiness, and family. Kartlis Deda watches over Tbilisi from Sololaki Hill. Her looming aluminum figure is a touch point visible from nearly anywhere in the city. Better known as Mother Georgia, her figure so perfectly typifies the spirit and welcome I encountered in the country. For Georgians, this statue represents the dual priorities of hospitality and freedom. Erected in the 50s, Mother Georgia carries a bowl of wine in one hand and a sword in the other. The wine is for friends, the sword for enemies. 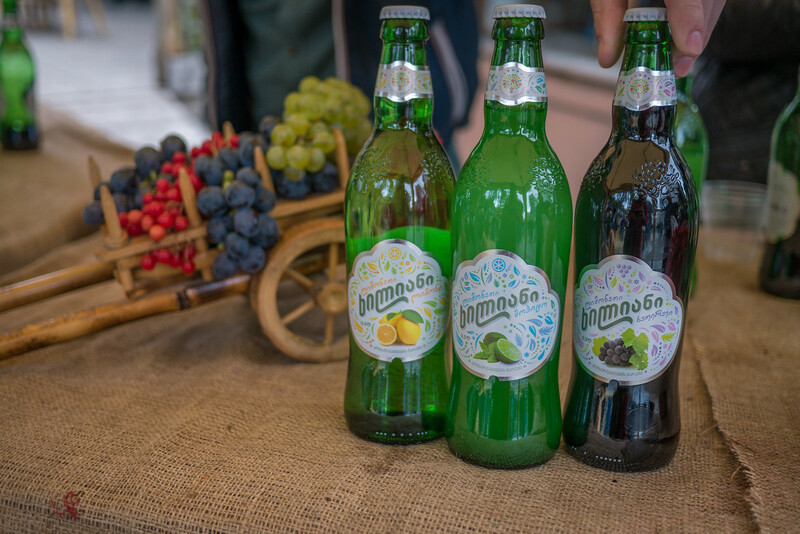 In practice, hospitality infuses every aspect of traveling Georgia. As I left, it was the feeling of complete welcome that stuck with me. Conversations with new friends swim to the forefront of my memories. Welcoming visitors is entrenched in the culture. After I posted a photo of Tbilisi on my Instagram, a local woman found the photo and welcomed me to her city. Teo and I clicked immediately. She’s a Georgian woman with a serious case of wanderlust. Now that’s something that I understand. When I admitted to her that I hadn’t yet sampled Georgian wine (I prefer drinking with friends), in quick order we arranged to meet. Across many hours—and many glasses of wine—we swapped travel stories. She shared what it’s like to live, work, and travel as a Georgian. Though I often meet kind travel friends in each new city, there is a palpable quality of joy to Georgian hospitality. If you visit Georgia as a friend, like their statue bids, you leave warm with wine and hospitality. Tbilisi is a pocket-sized city. Even more, Georgia is small too. Combined, it’s all endlessly explorable. 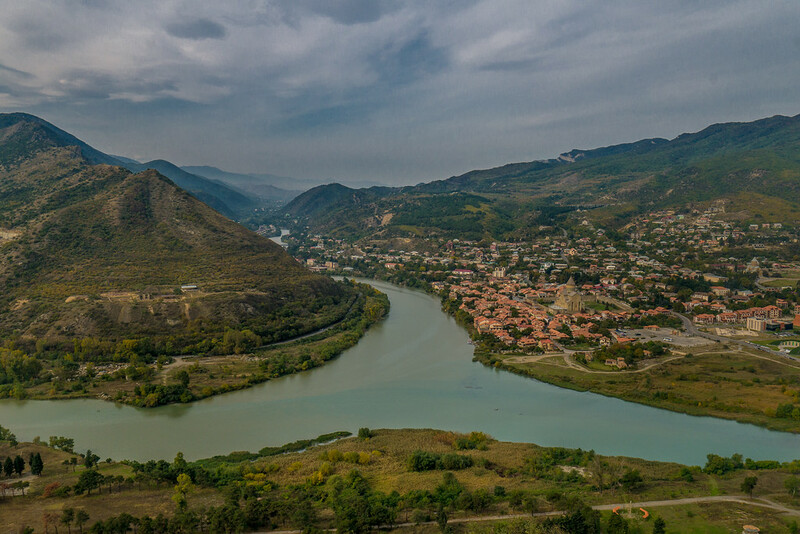 Situated smack between the Greater and Lesser Caucasus Mountains, there’s a varied landscape packed into this small country. Lowland lakeside towns on the Black Sea vie for attention alongside snow-capped ski slopes. I didn’t bring clothes suitable for visiting the mountains in near-winter. Instead, I spent my trip based from the capital, exploring on day-trips from Tbilisi. History and nature collide outside the city. I hired my Airbnb host, Bacho, to show me around. He took to the task with ease and helped me pick which sites I’d like best. 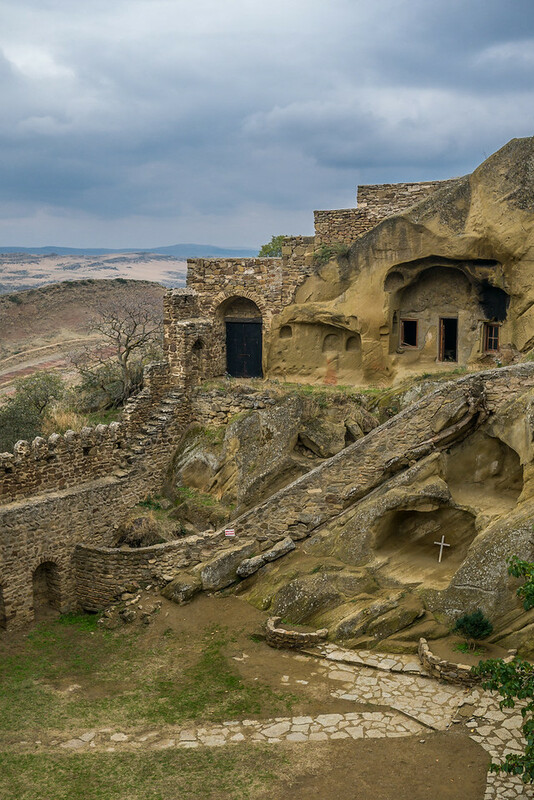 One day, we hiked around the David Gareja monastery to the painted caves. The monastery is a few hours outside of the city and our car hummed along lonely, winding roads, through a muted, lunar-like landscape. The monastery is beautiful. One of my favorite moments occurred as we crested the mountain behind David Gareja. 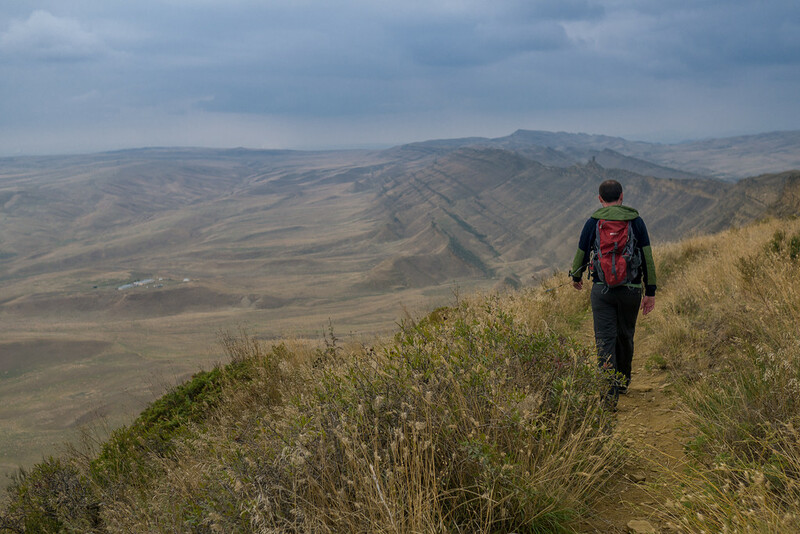 Bristling in the cold air, I jerked to a stop as we faced Azerbaijan—a huge flatland plain spanned below, awash in dull greens and browns far into the horizon. As I took in the look of this new land, two eagles soared into the sky, emerging from the mountainside, their massive wingspan casting shadows on the land below. They glided on the breeze, free of the borders holding me to my perch. It was a beautiful moment. Over the following hour, we climbed among the caves carved into the rock mountain. Other days we visited 4th-century churches—many still in use. These ancient buildings watch in silence as this beautiful nation shifts and changes. The country is making quick strides toward peace and development. In tandem, it also grips the pieces of its unique history and preserves them for future generations. Never before have I experienced a culture so taken with song. Rich harmonies drifted from family compounds. Sometimes for mere moments I caught a deep melody floating on the breeze. And they sing not for a coin, but instead for a love of the music. Polyphonic singing is another UNESCO recognized piece of intangible heritage, and is stunning to hear. 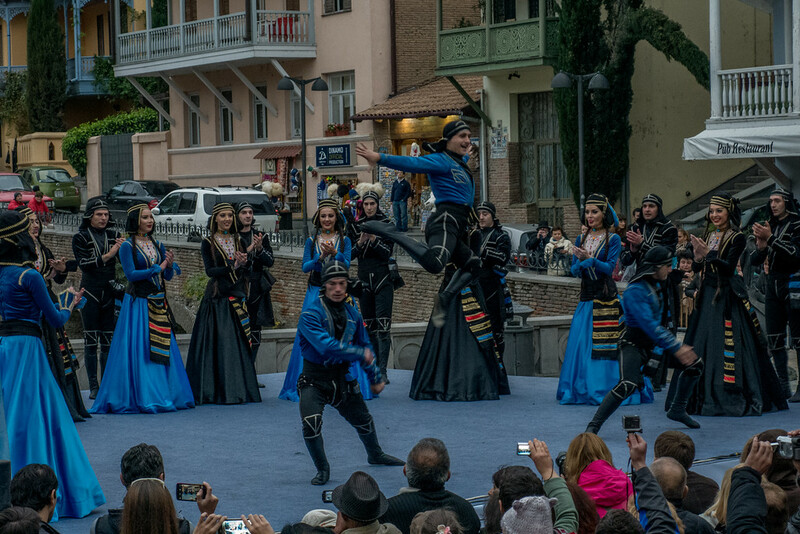 I visited Georgia during Tbilisoba, their annual cultural festival. I was taken with the country’s incredible history of song and dance. The festival allowed me to watch, mesmerized, a sampling of regional dances. The men leapt impossibly high, the women twirled and swayed. Each dance told stories of courtship, stories from history, and stories of joy. I was lucky to watch one long performance next to a local woman. She passed me chunks of churchkhela—a local sweet—and translated the introduction for each dance. Her kindness afforded me my sole opportunity for questions during Tbilisoba. With her explanations, I better understood how each region used the arts to preserve its history and maintain a legacy for future generations. There’s no way to encapsulate why I am so taken with the Republic of Georgia. The sum total of Georgia won me over. Georgians have formed a deep resilience over the years. Even more, their complex history hasn’t curdled their love of life. In addition to the many things I loved about the aesthetics, food, and culture, it goes beyond that. The same government and police presence that brought stability to Georgia in the wake of the Rose Revolution has kept the city safe today. The president overhauled the police force in 2005. This ushered in an era of safety for Georgians, according to my Airbnb host. As a new arrival, poor street lighting and rundown sidewalks gave the city an eerie feel. At first, I was uncertain about the assertions of safety. Familiarity with the pace of the city, however, assuaged my concerns. Women teetered home at all hours of the night on skyscraper heels. New friends echoed my host’s sentiments about safety. While caution goes far in any place, the city is at peace. As a solo traveler, I felt comfortable in my skin as I wandered. The relative safety of the city added a welcomed layer to the travel experience since I was weary from recent travels through Turkey. And my gushing aside, there are a couple of downsides. Every place has them. I’d be remiss to overlook it. The Georgians have a high rate of smoking. As a non-smoker, the clouds wafting into my face during dinner was tough. I picked restaurants based on the availability of a corner where I could wedge myself away from the currents of smoke. I found the smoking even worse, however, in Istanbul. As with all things, it’s relative. The city’s air quality is declining, but again, didn’t even come close to huffing through the streets of Kathmandu. When you aggregate the kindness, food, and history from my weeks in Georgia, it won me over. I am a lifelong fan. And it’s this same feeling that friends and A Little Adrift readers expressed when I announced my travel plans. Everyone gushed about the Georgian-ness of it all. Never able to quite pin down what they love about it, readers and friends echoed one sentiment: Just go. I’d have to agree. Sometimes a city just sticks with you. It wins you over with a spirit and subtlety unmatched by previous experiences. 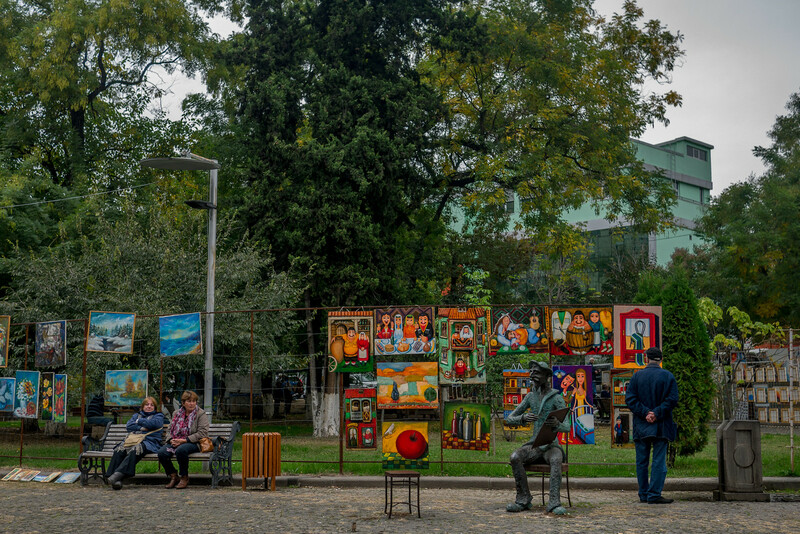 For Tbilisi, I found the city as charming as the people who live there. Two weeks is too little time to claim I understand the culture, city, or people, but it’s long enough to admit I’ll be back to try. Heading to The Republic of Georgia? Check out my Georgia Travel Guide: I aggregated my experiences in Georgia, plus all the tips from A Little Adrift readers. This is a free, comprehensive guide of history, sights, things to do, responsible tourism, and recommended readings. Hi Shannon, Reading your blog whilst sat in my apartment in Tbilisi on an 8 day visit from the UK. I totally get why you fell for this place. A hidden treasure, glad I made it here before it gets too touristy. Thanks for your blog, its great. Thank you for this. My husband and I leave for Georgia in less than a month and it will be my first time traveling abroad. Everyone keeps asking how we decided on Georgia. I read a bit about the food first and the more I read about the country, the quicker it rose to the top of my travel list. I appreciate that. We have been reading up on the culture so as to minimize the inevitable tourist faux pas. I’m doing well picking up basic words and phrases in Georgian, but their language is tricky. Are there any customs you think we should know about before we go. It is a tricky language! But they will love that you have picked some up. As for customs, they have hospitality embedded in their cultural identity, so if you go curious and respectful, there’s nothing you could do truly wrong. I hope it’s a wonderful experience for you! Georgia is not a destination that was ever top of my wish list but you do make it look intriguing! What a travel..it was so lovely and deep i was in Georgia for a min, I love the way you wrote more the way you experienced …good job. Wow! This is by far the most beautiful blog post on Georgia I have ever read! I hope you make it! It’s one of the more special spots that I’ve visited in the past couple of years. I was in Tbilisi in the mid-80’s when it was still Soviet. I remember dull, gray, dreary…except for the dancing. Ah, the native folk dancing. I was mesmerized from the first second. I was SO in love with it that I stayed for a second professional performance just to see it all again…and was the only member of the audience. All the other tourists had left, yet they gave me again their hearts and souls on the dance floor. I sat in the front row of course, and marveled at the costumes, the strength and will of the men, the beauty of the women…..seeing your photos gave me chills. I have obviously never forgotten that wonderful experience. I still to this day look for them to come to the states to dance. As for food..when we got on our student bus in Moscow the first think our Soviet Intourist guide asked was “Do we have any vegetarians?” I whooped and yelled “yes!”, and she smiled. I had been fearful of starving. I was fed first at every meal, big plates of veggies, much more than the others got, while they had to stare at mystery meat for three weeks. By the end, all were wishing they had been vegetarian. What a fascinating time to have been in the country. The vibe is certainly different now, but the culture, music, dance, and magic are still there. And as a vegetarian, we rarely are thrown a bone, but it sounds like you definitely had the advantage at the food tables! Thank you so much for sharing your own memories. That part of Georgia is still present in the country — the monastery I visited had visible signs of damage to the frescoes, done during the Soviet Era. Do you have any plans to go back? Georgia only i know from lesson at the school before but here all open to deepest heart of the country. I will learn more about the country and some day should be travel to Georgia. Dream country since now after reading your lovely article. Should be the country to visit. Thank you Ema, it’s beautiful and welcoming and I hope you make it there! Beautiful images! The culture of hospitality jumps out at me. Bali is one of my fave places on earth for 1 core reason; if you live in a Balinese village, you’re treated like someone from Bali. We were invited to a wedding and many of the endless ceremonies around the island because these folks are so darn warm, authentic and inviting. Their hearts are HUGE. Just like the beautiful Georgians. Thanks for this post, its impressive, not only because its about the country which i love the most.. but your writing style… hope you will come back one day and explore also our mountains as Svaneti and Tusheti or Racha . it will be interesting to read a story about those trips : )) Good luck to you ! I’m georgian and as georgian I’m so proud of my country! and I’m so glad I read it! thank you peope for your esteem to my country’s culture.I’m very happy I found this post! thank you a lot. feeling really happy while reading this. <3 Georgia's waiting for you to join our love and happiness! I do see what you mean, there is a lot of focus on what is just one part of the city. I did make it out into a few other areas of the city, but unfortunately I found the lack of English hard to connect and find the same level of welcome that you have in the places more set up for tourism. i hear that throughout the country there is that same strong welcome, and like you I hope to return and explore. I have not been to Vadzia, but I have heard of how beautiful it is. Have you been there? No, I didn’t make it there on this trip but I do hope to visit too! You forgot to mention the amazing beautiful Svanetia and Tusheti! Unbeliavable nature! If you can even believe it, I didn’t make it there this time. I am definitely returning, however, so both of those places are on my list for the next visit — I hear they are breathtakingly pretty. Not to mention an extremely hospitable visa policy. Citizens of over 60 countries can enter visa free for a whole year. Oh wow, I didn’t know you got a year on arrival. Generous indeed! Thanks for letting me know! Maybe it was the wine? :) Or the food? We have visited Georgia a few months ago and were smitten! Great to read little bit more about your time there. 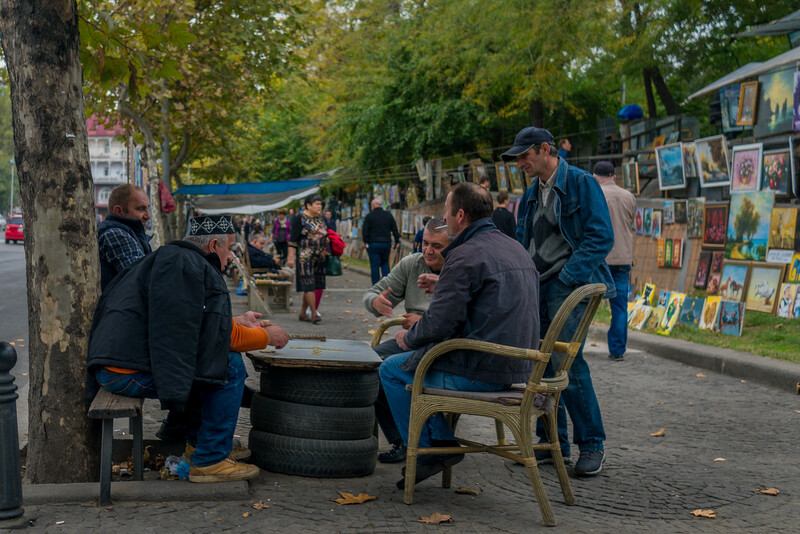 A close friend recently came back from Tbilisi and I feel in love with it through her photos. Your post is just further proof that it is definitely a country to put on my travel wishlist. Thanks for the insightful post! Thank you Shannon for bringing Georgia to my front door. That was a lovely introduction and you can be assured that I will be keeping my eyes open for more travel information about this small country. I am always intrigued when a country/place previously unknown to me suddenly marches forth and says “here I am”.